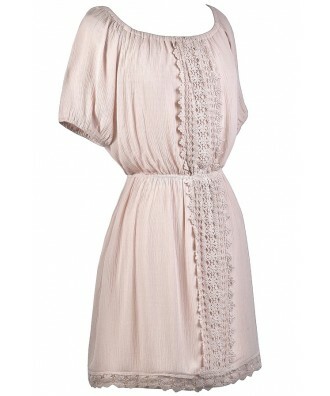 You have added Peasantly Surprised Crochet Trim Dress in Blush Cream into shopping cart. FINAL SALE. This easy breezy dress is the perfect option to toss on when you want to be cute and comfy at the same time! It has a laid-back prairie-girl vibe we love. 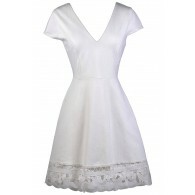 The Peasantly Surprised Crochet Trim Dress is made of a flowy gauzy fabric. It has a rounded elasticized neckline, short sleeves, and a loose, blouson cut. The elasticized waist gives way to the flowy skirt. A panel of crochet lace trims the front of this dress, and crochet lace trims the hemline as well, completing this dress. The Peasantly Surprised Crochet Trim Dress looks cute paired with cowboy boots for a cute country girl look. Wear it in the Spring and Summer with flat beaded sandals, gladiator sandals, or beige wedges. This will become an instant wardrobe favorite! Details: Fully lined, except at sleeves. 100% rayon. Lining: 100% polyester. Dry clean only. Small measurements: Length from top of shoulder to hemline: 36". Bust: 36". 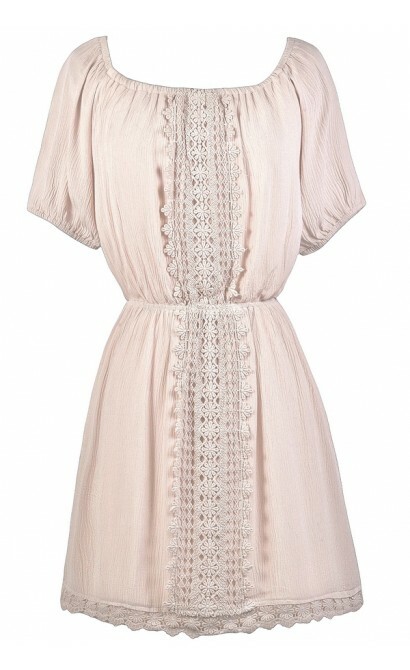 You have added Peasantly Surprised Crochet Trim Dress in Blush Cream into Wishlist. 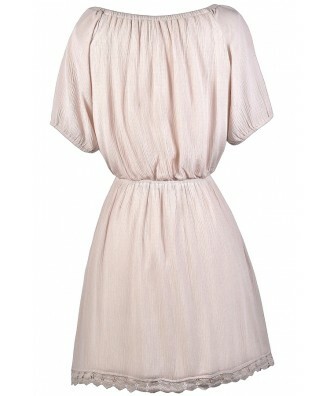 You have added Peasantly Surprised Crochet Trim Dress in Blush Cream for Stock Notification. 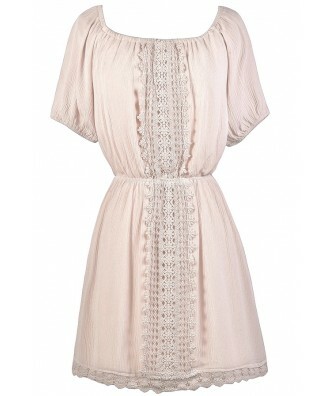 You have set Peasantly Surprised Crochet Trim Dress in Blush Cream as a loved product. 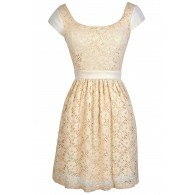 You have removed Peasantly Surprised Crochet Trim Dress in Blush Cream as a loved product.